News - The VERY Best Android Wallpaper Apps of 2017. The Top 5 Most Interesting Android Wallpaper Apps of 2017. There are stacks and stacks of Wallpaper Apps out there, so knowing which one to choose can be tough. Most of them do a very similar job and display nice colourful images, whether it's landscapes, sunflower fields or fantasy art, but few do anything extraordinary. We look at our phone backgrounds 214 times per day so I think it's time for a wallpaper revolution! I did a little research and cherry picked what I think are the very best Android Wallpaper Apps out there at the moment, (this being the earth year 2017). 46,601 users - Number five on our List of neat wallpaper Apps is Muzei. What makes Muzei a great choice for a Wallpaper App is that they aren't just a mish mash of graphics and photography. 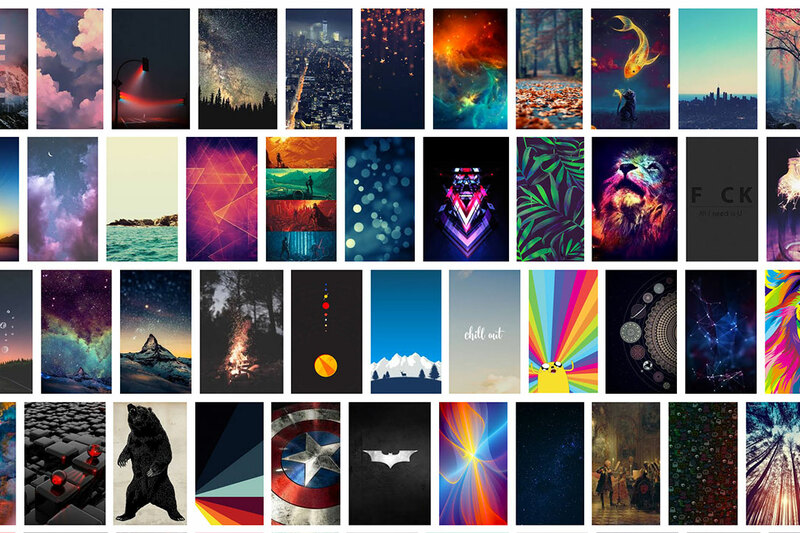 It's an App developed by a guy at Google and it streams stunning art straight to your phone background, using a variety or sources. 500px is a website and art community dedicated to providing premium royalty free stock imagery, they also supply some of the artwork for Muzei. Their images are really high quality and they have a nice blur affect when they fade in and out. It's certainly a good option for giving your phone background a makeover, definately worth checking out! 3,078 users - Behance is an incredible site for gathering visual inspiration. The portfolios on their are always fully loaded with brilliant designs and creative executions. It's no surprise that when they bring out a Wallpaper App that the artwork meets expectations. You can now have the artwork from designers and illustrators around the world, beamed straight to your phone. This is especially great if you're a business that's looking to hire new artists and designers. N/A - Psiu Puxa is a little different as it's not a native App, you have to select the images you want to download. However if, like me, you're a bit of a space geek then this App is perfect for you. Psiu has a collection of absolutely stunning imagery of Space. Nasa supply the images to these guys so you're not getting computer generated shots, you're getting the real deal! They're truly breathtaking, so I just hope they bring out and Android App some day soon! 100 - 500 users - The reason why World View Wallpaper made it to the number two spot is simply because they stream wallpapers based your local time. They'll share stunning landscapes from around the world from when you wake up to when you go to sleep. It's a simple idea but I like that the wallpapers react to variables to make them relevant to you so they get a big thumbs up! N/A - Tap Deck deserve to be in our number one spot as they have wallpapers that appear right on your doorstep, or in other words on your home screen. What makes them different is that you can choose waht you're interested in and then simply tap your home screen to change the image. You essentially have instant access to great content, with no need to sign in again and again. You can swipe through wallpapers if one isn't to your fancy. In the coming months we'll be launching Belong which is an Android Wallpaper App with a very big difference. Our aim is to get people exploring their city, so there's no more fear of missing out! Belong will allow you guys to know what's happening around you via smart, location based wallpapers. But not only that, you can set them to react based on the local weather and time. So if you're into your Happy Hour then the next time you're walking around the city at 8pm you might have a cocktail appear on your Home screen. Perhaps there's a new art exhibition around the corner so when you unknowingly walk past you'll see the artists work appear. The other benefit is that you can tap the wallpapers to either be linked to a location or website. We're currently calling all Instagrammers to submit their images for a chance to feature them on our platform. Successful applicants will earn commission on their shots so sign up today! If you come across any awesome wallpaper Apps in the meantime please feel free to add to the list, we'd love to hear from you!